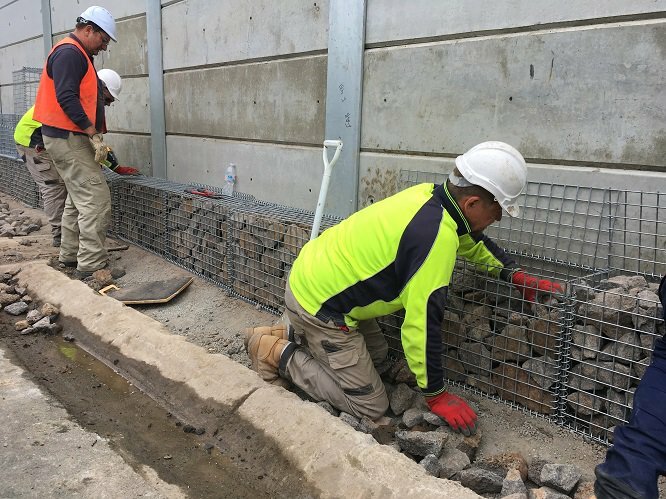 Geelong Galvanizing provided TetraWal hot dip galvanized steel retaining wall uprights to the Victorian Government’s $53 million hazard mitigation project to protect sections of the 240-kilometre tourist route on the Great Ocean Road. Over time, one of the sections on Victoria’s most iconic and scenic stretches of road, between Separation Creek and Wye River has been under threat from bushfires and floods, causing hundreds of landslides and forcing road closures. The project involves urgent repairs including; new rock fall netting, retaining walls and armour stone to prevent erosion by waves and minimise the risks of rockfalls and landslides. The concrete retaining wall along the Wye River section of the Great Ocean Road will be extended 25 metres north and dressed in baskets of light basalt rock. Approximately 300 soil nails, in association with a steel grid mesh system, will also be installed to lock down the hillside. Hot dip galvanizing provides the highest level of corrosion protection for the steel components used in this project. In an area exposed to severe weather elements including salt air, wind and rain, the long-term corrosion protection of HDG steel ensures the safety of tourists and locals using the road to travel along the Victorian coastline.